IMS- Noida, we believe that teaching what happened in the past is not as critical as understanding the shape of things to come. And in this fast-changing world, the best way to control the future is to create it. 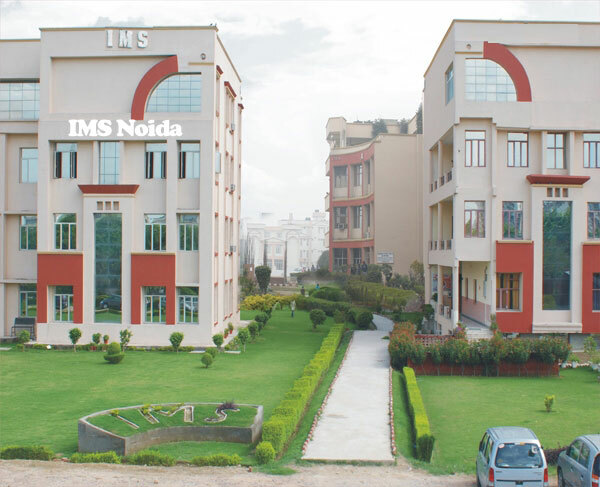 With a radical, cutting-edge curriculum, infrastructure, teaching methodology and industry interface, IMS is focus on creating students ready for whatever is Next. Affiliation to Ch. Charan Singh University, Meerut. Since management is one of the most prefer career options today, BBA is a natural corollary to this preference. At IMS Noida, this course has been design to impart the basic principles of management to the future managers, so that they achieve a strong grounding in management studies. The mission of BBA at IMS is to produce excellent professionals who can translate theory into practice, and are capable of identifying and solving management problems at local and global levels. BBA at IMS is a competitive program base on benchmarks set by similar programs in some exceptional universities in the world. The approach towards teaching is more practical where the knowledge is impart for practical application in corporate world. Candidates seeking admission to the BBA Specialization Programme must have pass 12th examination from a recognize Board/ University. Candidates appearing for the qualifying examination or those who are awaiting their results are also eligible to apply. Candidates interest in BBA Specialization Programme are request to register their names for Joint Entrance Test (J.E.T) to be conduct by IMS NOIDA in their premises. The test is base on general awareness, basic mathematics, reasoning questionnaire, and communication skills.